Nikki Haley, U.S. ambassador to the United Nations, let it be known on Monday that she was anything but content with the Security Council’s attempt to hit back at President Donald Trump’s designation of Jerusalem as the capital of Israel. “What we witnessed here in the Security Council is an insult. 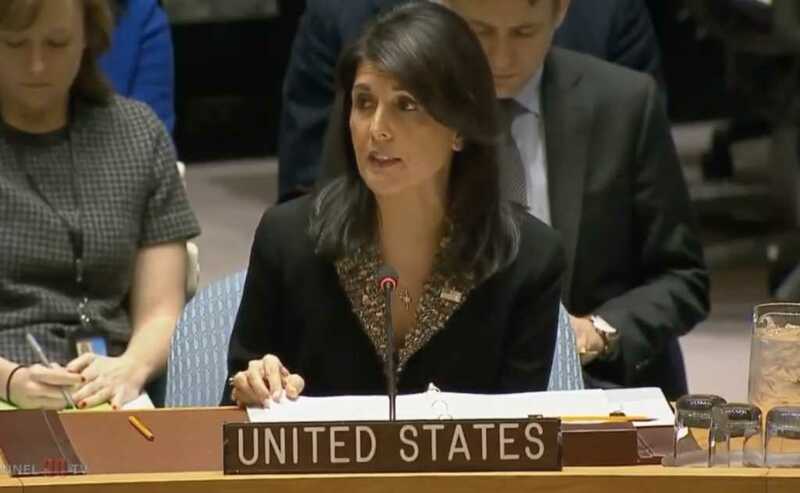 It won’t be forgotten,” Haley said after 14 of the council’s 15 nation’s voted to endorse a resolution that called on Trump to roll back the capital designation. And she wasn’t done there. Haley also made some proclamations about the importance of “American sovereignty” and the embarrassment she believes the council should feel for taking its stand, Reuters reported. As Faithwire previously reported, the resolution would have essentially nullified Trump’s Jerusalem move. The U.S. has veto power alongside France, Russia, China and Britain and was widely expected to use it. To do so, the [Palestinian Authority] would invoke the Uniting for Peace Resolution 377a, approved in 1950, to neutralize the former Soviet Union’s power at the Security Council, when it was blocking the placement of UN forces in Korea. Since then, the UNGA has held 10 emergency session under Resolution 377a, half of which have been about Israel. Mansour said that the Palestinian delegation can send a letter to the secretary general in an effort to get this emergency session on the books. Meanwhile, Danny Danon, Israel’s U.N. representative, pushed back against the draft resolution.